Surf’s up! It’s time to hit Hawaii! This exotic US state is famous for its big waves and impressive beaches, but there’s more to the state’s six major islands than scenic sandy stretches! 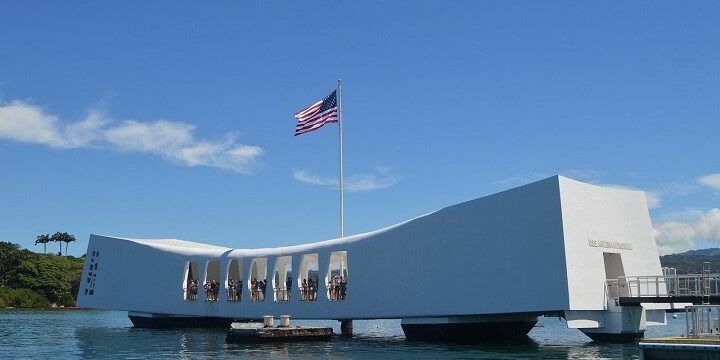 Home to Honolulu, the island of Oahu is also known for Pearl Harbor, where major World War Two events took place. Pearl Harbor is one of the attractions on the island of Oahu. 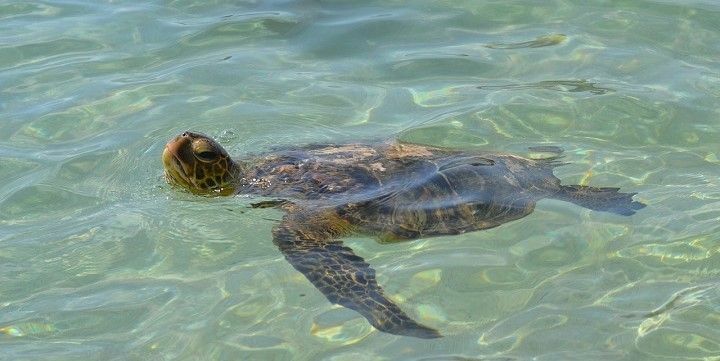 After learning about Hawaii’s past, check out some of Oahu’s incredible beaches, including Sunset Beach, which hosts some of the best surfing in the world, and Kawela Bay, where you could spot honu, green Hawaiian turtles. 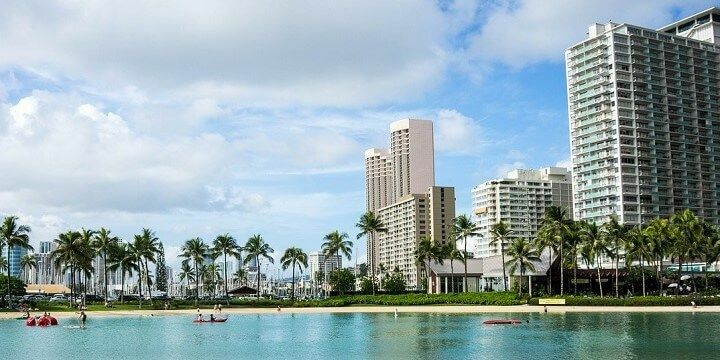 The most famous beach on Oahu is Waikiki, where you can surf, swim, and canoe. However, owing to its central Honolulu location, Waikiki is lined with hotels and often crowded. Waikiki is the most famous beach on Oahu. Just minutes from the shore is the Diamond Head Walk. The 2.5-kilometer round trip will take you up to a crater, along dark tunnels, and trough old military bunkers, so is only suitable for experienced hikers. With plenty of lush landscapes, Kauai is perfect for nature lovers. Start by exploring the mountainous shoreline of the Napali Coast, or the breath-taking, 24-kilometer-long Waimea Canyon. 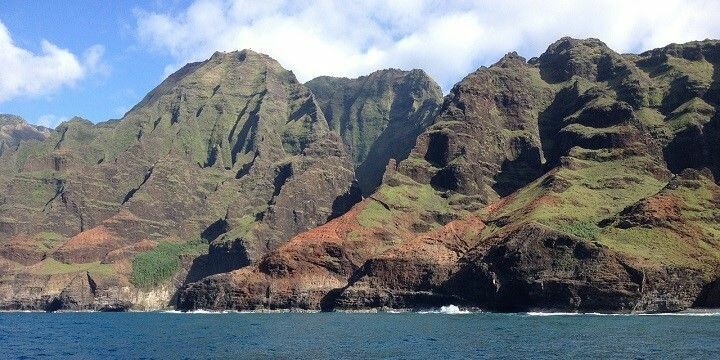 Explore the Napali Coast on the island of Kauai. Alternatively, head to the huge Kokee State Park, where 72 kilometers of hiking trails will lead you past forests, lookout spots, and the Waimea Canyon. If you’ve worn yourself out, check out the Poipu Beach Park for crystal-clear water and the opportunity to spot monk seals and humpback whales. Alternatively, indulge in some retail therapy in small towns like Hanapepe, the art capital of the island, or Koloa, famous for its old sugar mill. A visit to Hawaii Island, also known as Big Island, would be incomplete without spending time in the Hawaii Volcanoes National Park. This 1,350-square-kilometer park is home to Kilauea, one of the most active volcanoes in the world. You can also hike along 240 kilometers of trails, past volcanic craters, and through deserts and rainforests. Hawaii Island is also known as Big Island. After your tiring hike, head to Punaluu Beach for gorgeous black sand and plenty of honu. Green Hawaiin turtles are called "honu". Alternatively, check out Hapuna Beach for a more vibrant atmosphere, with beach bars and restaurants. Don’t leave Maui without visiting Pailoa Beach, featuring black sand, caverns, and sea caves, or Honolua Bay, which is popular among surfers thanks to its huge waves. 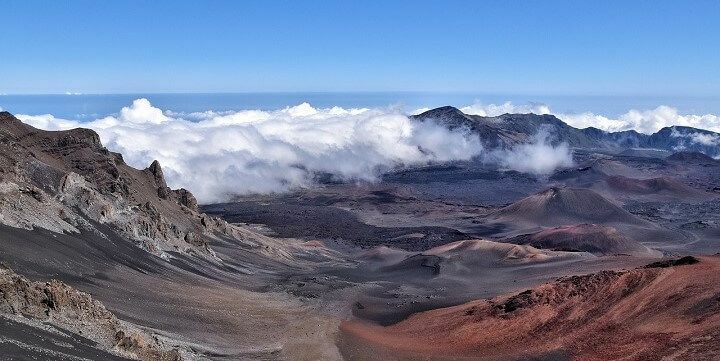 More natural beauty can be found in the Haleakala National Park, where the dormant Haleakala Crater offers challenging hikes. You’ll also find the Pools of Ohea, natural swimming pools that are fed by impressive waterfalls. The Haleakala National Park on Maui is great for hiking. Enjoy history and culture in the town of Lahaina. Stroll around the old Banyan Tree Square, visit the impressive Lahaina Fort, or learn about Maui chief culture in Baldwin House. End your night on Front Street for great restaurants, cafés, and nightlife venues. This island is very much off the beaten track and is perfect for nature lovers. Explore the Halawa Valley via guided hiking tour to spot the incredible Mooula Falls. 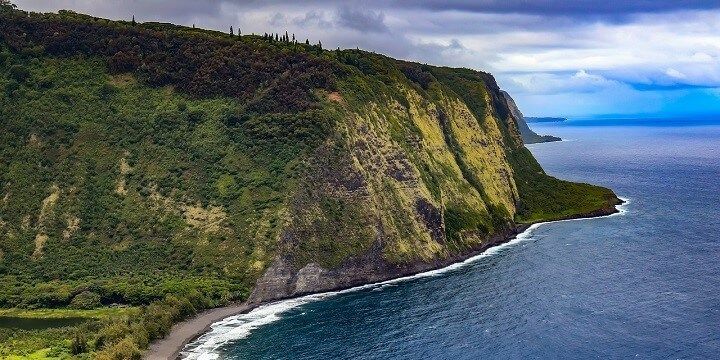 Then, stroll around the Kalaupapa National Historical Park, home to the tallest sea cliffs in the world (over 1,100m). 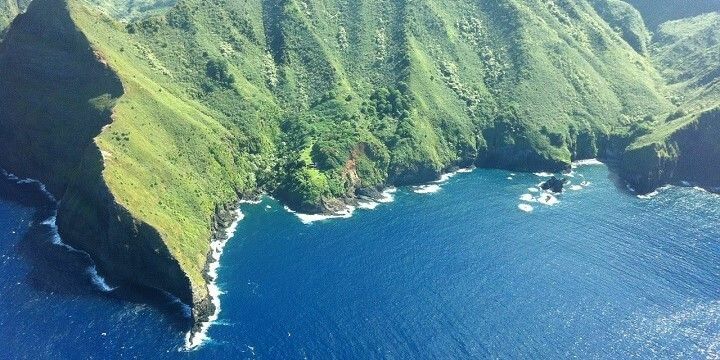 Molokai is home to the tallest sea cliffs in the world. Finally, enjoy the hundreds of palm trees in the ancient royal Kapauiwa Coconut Grove, but be sure to watch from a distance to avoid a coconut falling on your head! Known as Pineapple Island, Lanai was made world famous when Dole started to grow the fruit here in the 1920s and produce 75 percent of the world’s pineapples! Now, most of Lanai City’s best shops and restaurants can be found near Dole Park, which is a great spot for a picnic. Elsewhere in Central Lanai, you’ll find the 20-kilometer-long Munro Trail, which will take you through forests and to gorgeous canyon viewpoints. For more incredible nature, check out the Kanepuu Preserve for dryland forests and 48 species of native plants. 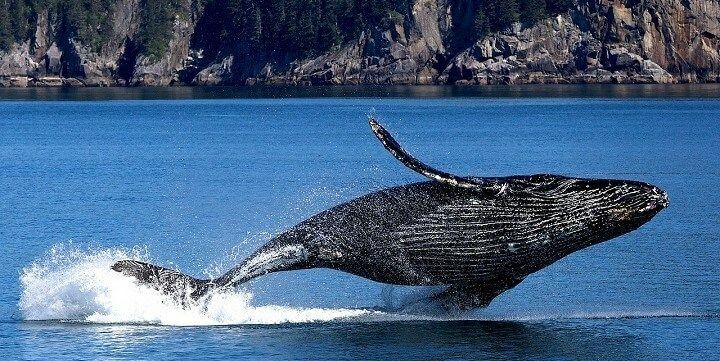 Spot humpback whales on the island of Lanai. If you’d rather just relax, head to Hulopoe Bay, named one of the US’ best beaches. With white sand and crystal blue water, Hulopoe is great for swimming, diving, and spotting humpback whales as well as spinner dolphins! Perfect for beach and nature lovers!